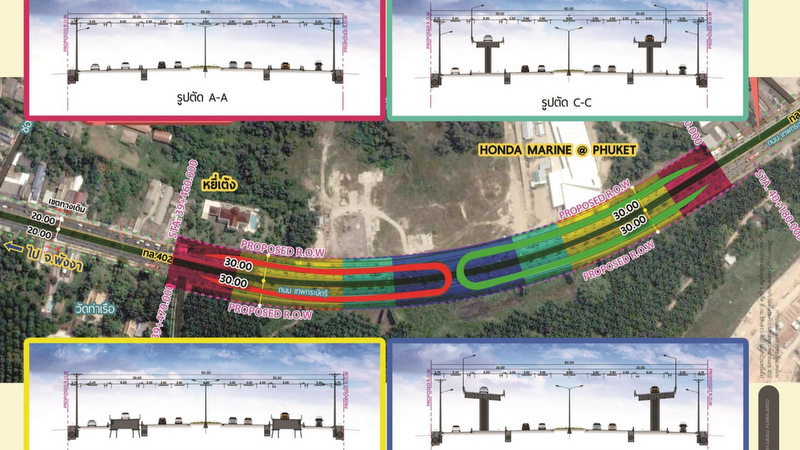 PHUKET: All progress on the two flyovers planned to be built over Thepkrasattri Rd is on hold for at least another year after a formal protest pointed out that one of the proposed flyover sites is within one kilometre of sites of historical value in the area. One is planned to be built near the ‘Yee Teng mansion’ in Koh Kaew, the other planned to be built in Mu Dok Kaeo, north of Thalang Town. 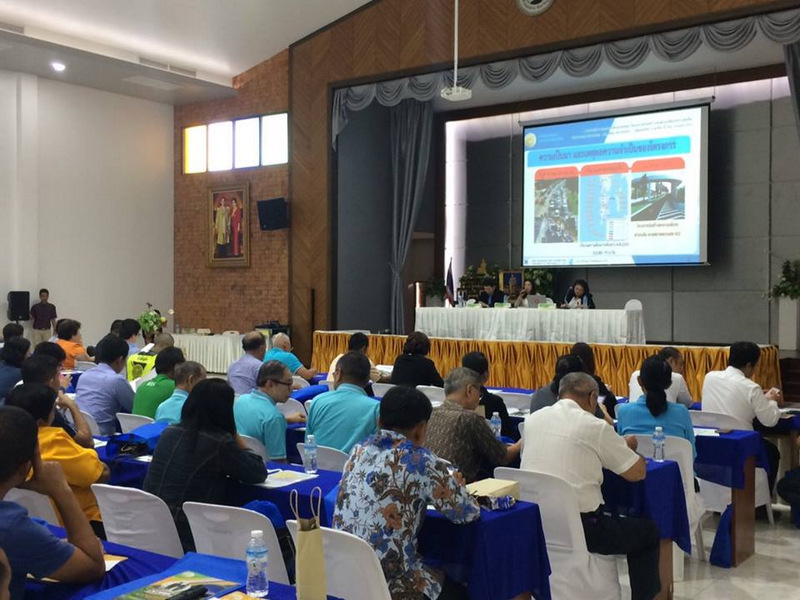 However, Phuket Highways Office Chief Somwang Lohanut has now confirmed to The Phuket News that all plans are now on hold as local residents have pointed out that sites of historical value are within one kilometre of the flyover planned to be built in Koh Kaew – a fact that was never included in the Environmental Impact Assessment (EIA) for the project. 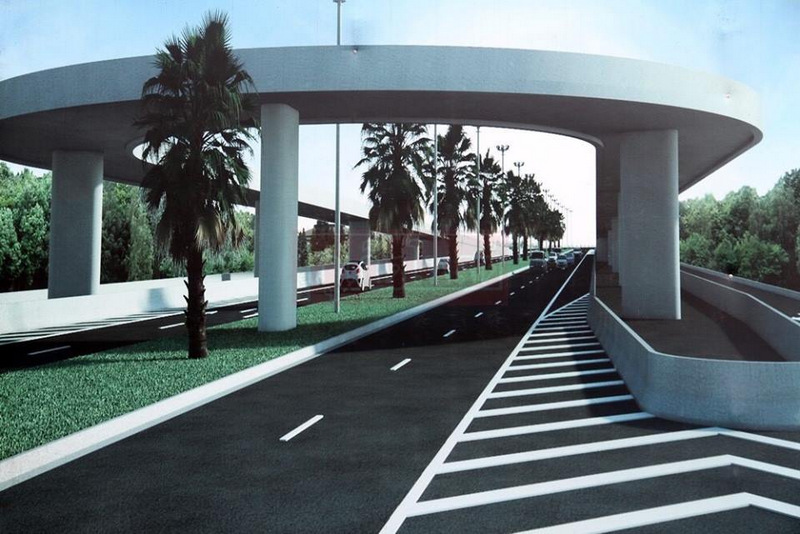 “Only after starting this project have we learned that the two sites are within one kilometre of the flyover. We didn’t realise this until local people filed their complaint. So we are compiling a fresh EIA, as required by law,” Mr Somwang said. One of the two sites of historical value is Ban Phraya Wichit Songkram, located some 800 metres south of the Heroines Monument. Registered as a National Heritage Site in 1985, the location features the stone wall remains of the formal residence of former Governor of Phuket Phraya Wichit Songkram (That Rattanadilok Na Phuket). 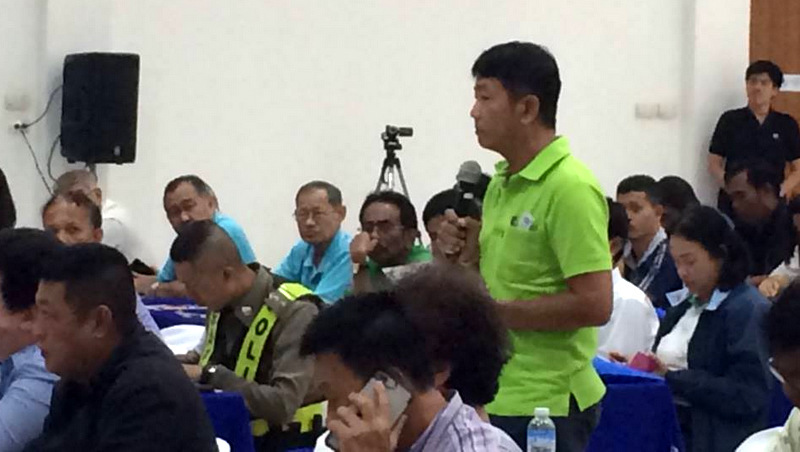 In response to the complaint, a public meeting was held at Muang Thalang School on Wednesday (Nov 7) in order to inform local residents that a new EIA will be compiled and to gain some feedback from local residents about the issue. 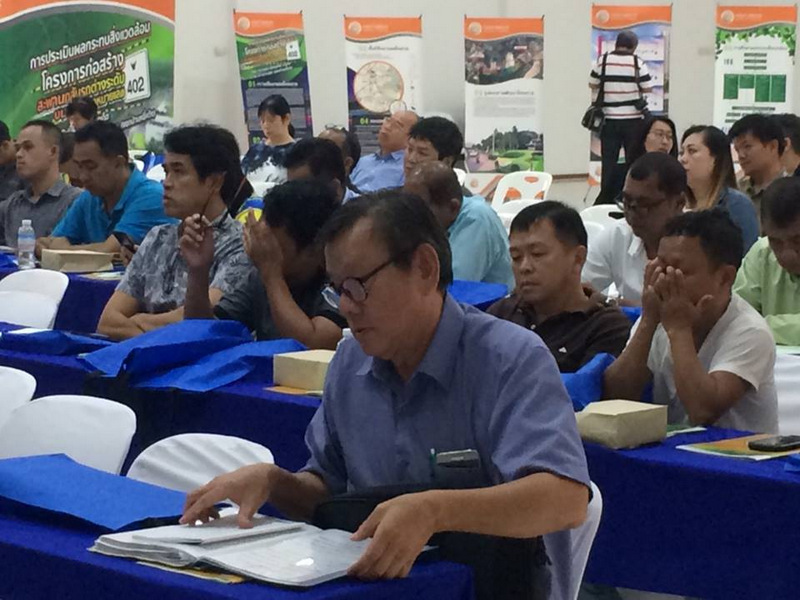 At the meeting, Bancha Suthaibamroonsuk, Director of the Department of Rural Roads’ Bureau of Bridge Construction, explained that City Plan Professional Co Ltd will be conducting the research needed for the new EIA. Mr Somwang explained, “At the meeting, City Plan Professional Co Ltd described the background and purpose of the project, the area to be affected and presented the project and basic design to people. “They also listened to comments and suggestions, and answered questions,” he said. More public feedback meetings will be held later, he noted. “We need to find a solution to this issue. It will take time and it will delay the project further. Done properly, I expect the EIA to take about a year,” Mr Somwang added.